Neill Blomkamp and BioWare are apparently working on a secret Anthem project. District 9 director Neill Blomkamp is teasing some kind of project related to BioWare’s Anthem. “Been working on something new,” said Blomkamp via a recent Twitter post. “Really excited to share this soon! 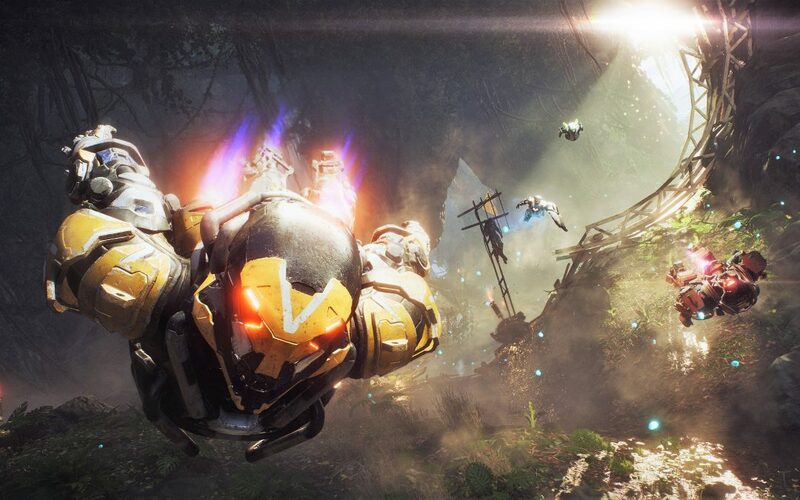 #anthemgame.” Included in the tweet was a screenshot from the upcoming game. While there’s no way of knowing for sure what Blomkamp is working on, that hasn’t stopped fans from already forming theories. Considering that Blomkamp also directed some of those incredible shorts for Halo 3, the most popular theory at the moment is that he might be working on a new series of shorts for Anthem. That would actually make quite a bit of sense when you consider that BioWare is trying to sell gamers on the idea that Anthem is going to be more narrative-based than some of its competition. Some short films related to the Anthem universe from a high-profile director like Blomkamp would certainly help accomplish that. There are also some who believe that Blomkamp might just direct a live-action trailer for the game. That honestly feels like the most likely possibility at this point as BioWare and EA will surely be promoting Anthem heavily around the time of its release and a live-action Blomkamp trailer would be a great way to sell the game to those who have their doubts or are just unaware of the upcoming game. In any case, Blomkamp has been pretty busy in the video game world as of late. Aside from his supposed involvement in Anthem, he’s also had the chance to take an early look at the next first-person shooter from the Alien: Isolation team. As for Anthem, it’s a promising multiplayer game that will have to overcome some stiff competition (and EA’s reputation for ruining projects) in order to make the kind of impact that developer BioWare likely needs it to make.